The Buffalo Bisons today announced that OF Jonathan Davis has been promoted to the Herd from the New Hampshire Fisher Cats. The Bisons begin the second half of their season tonight in Lehigh Valley against the IronPigs (7:05 p.m.). The team also announced that RHP Preston Guilmet has been activated to the team after being outrighted from the Blue Jays. OFs Andrew Guillotte and Dalton Pompey have been transferred to New Hampshire. 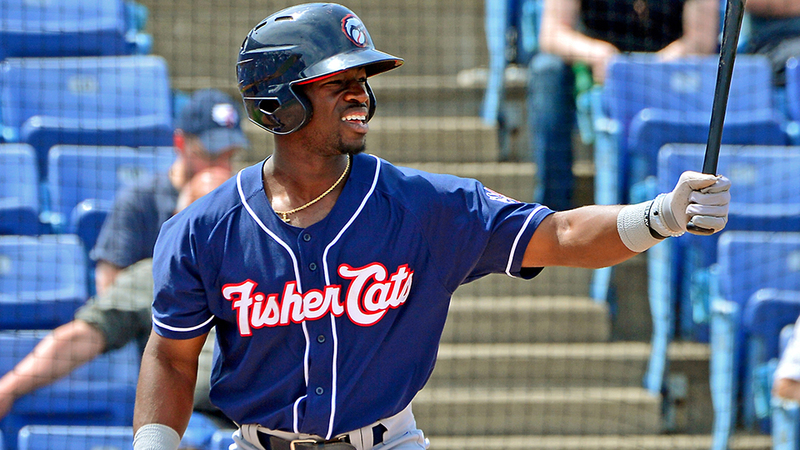 Davis, the #28 prospect in the Blue Jays system by MLB.com, is enjoying a breakout year for the Fisher Cats. He leads all Eastern League players with 68 runs scored and tied for 2nd in the circuit with 92 hits (just one off the lead). His .302 average in 77 games is 9th in the league and he has also stolen 19 bases in only 22 attempts (4th in EL). His 22 doubles are 4th best in the Eastern League. Davis, and Eastern League All-Star, recorded the Fisher Cats' first ever cycle on June 26 against Portland and also hit a grand slam against Reading last Sunday in New Hampshire's last game before their break. Along with his .302 average, Davis has also posted a .386 on-base percentage and an .829 OPS. Guilmet has spent time with the Blue Jays and the Cardinals this season, appearing in eight big league games and allowing 13 runs in 10.0 innings of work. The right-handed reliever opened the 2015 season with the Bisons and posted a 1.26 ERA in 10 games and 14.1 innings pitched.